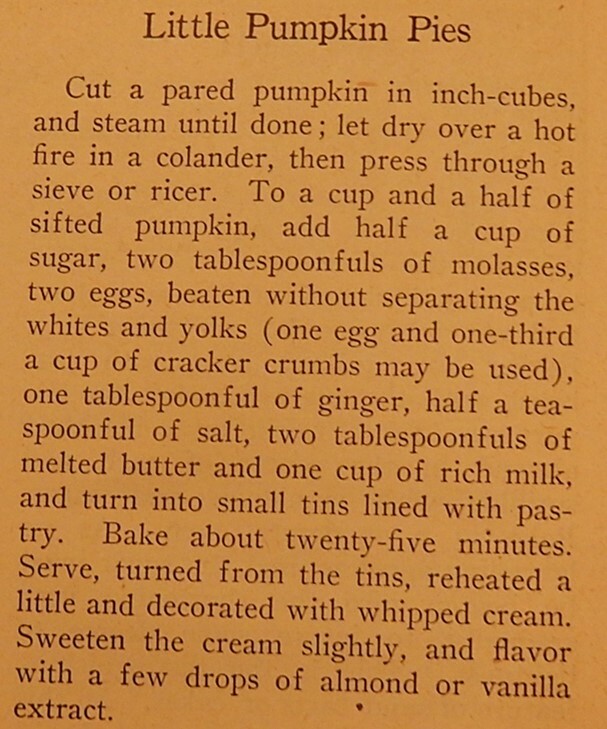 Frankly I’m tired of the ubiquitous pumpkin pie recipe that calls for evaporated milk and a 1-pound can of pumpkin. Is it really necessary to use evaporated milk–or would regular milk work? 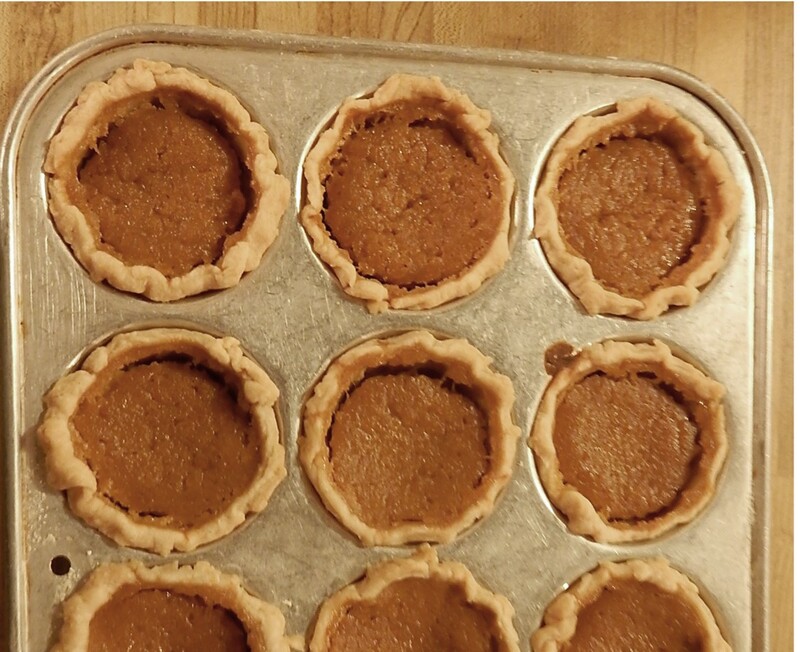 And, of course, I then made the short leap to: How did they make pumpkin pies a hundred years ago? 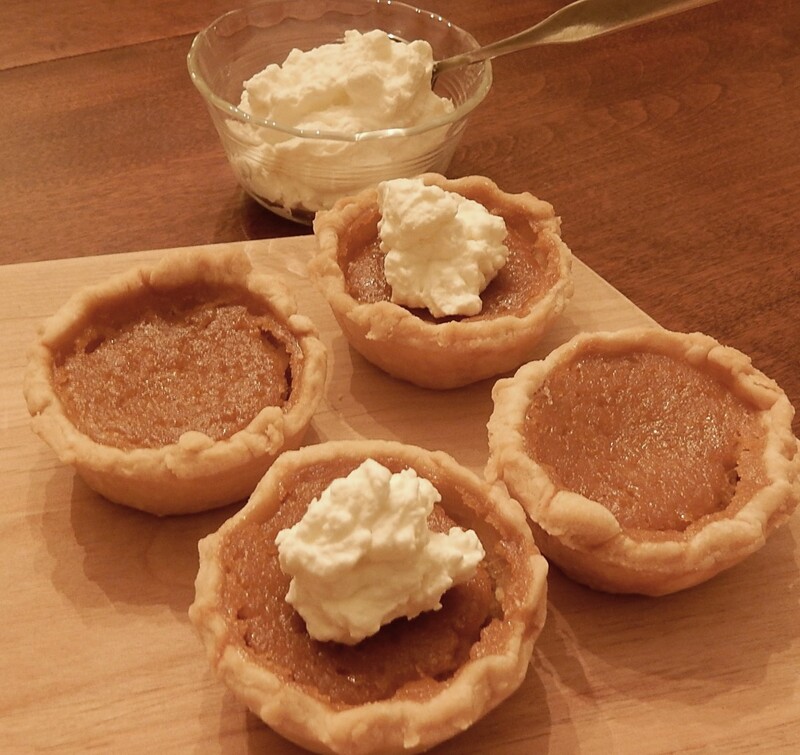 I found an awesome pumpkin pie recipe in the Lycoming Valley Cook Book. It was compiled by “the Ladies of the Trout Run M.E. Church, Trout Run Pa”. in 1907. The pie is similar enough to modern recipes that it won’t alarm your Thanksgiving guests. They’ll just think you used your usual recipe–but that it turned out better than it does in a typical year. The resulting pie has a nice blend of spices that don’t overwhelm the pumpkin. The recipe calls for just two spices (cinnamon and ginger) rather than the three or four typically used in modern recipes. It also uses more eggs than are generally used in recipes that call for evaporated milk. Since the milk used in the old recipe contains more liquid, additional eggs are needed to set the custard. 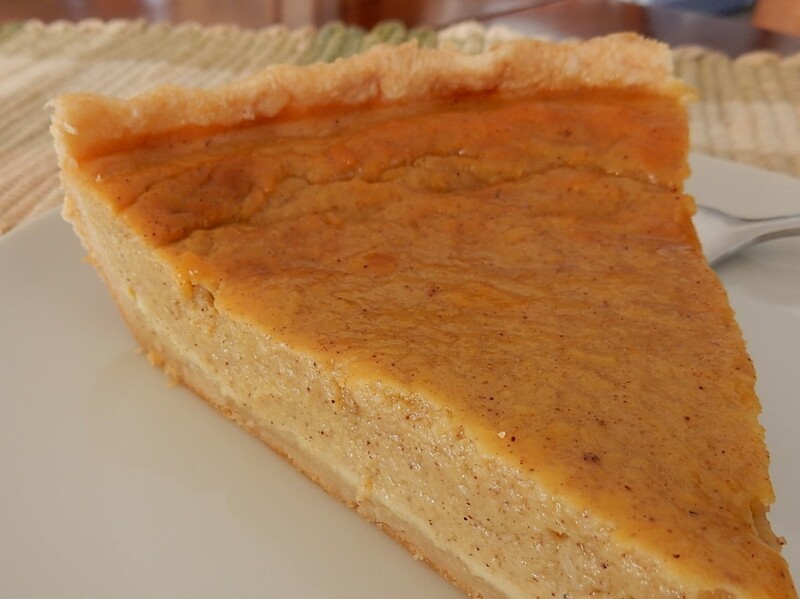 This pie also requires more baking time than modern pumpkin pies, but the result is a rich and creamy custard filling. Preheat oven to 425° F. Combine all ingredients (except pie shell) in a mixing bowl; beat until smooth. Pour into pie crust. Bake 15 minutes; then reduce heat to 350°. Continue baking (about 50-60 minutes) until a knife inserted in the center of the pie comes out clean. I used fresh pumpkin, but 1/2 of a can of pumpkin (14-16 oz. can) could be used. This recipe makes a small 8-inch pie. If I used canned pumpkin I’d probably double it, and instead make a large 10-inch pie. To prepare the fresh pumpkin for the pie, I peeled part of a pumpkin and cut it into one-inch cubes. About 1 3/4 cups of cubed pumpkin will make a cup of cooked pumpkin. I put the cubed pumpkin into a saucepan and covered it with water. I turned the heat to high and brought to a boil; I then reduced the heat to medium and cooked until tender (about 20 minutes). I drained the pumpkin and used my mixer to blend it until smooth. I then proceeded with the pie recipe.